Jetpack Invasion has been delighting American audiences for almost a year, with new equipment and talent being added with almost every new show. 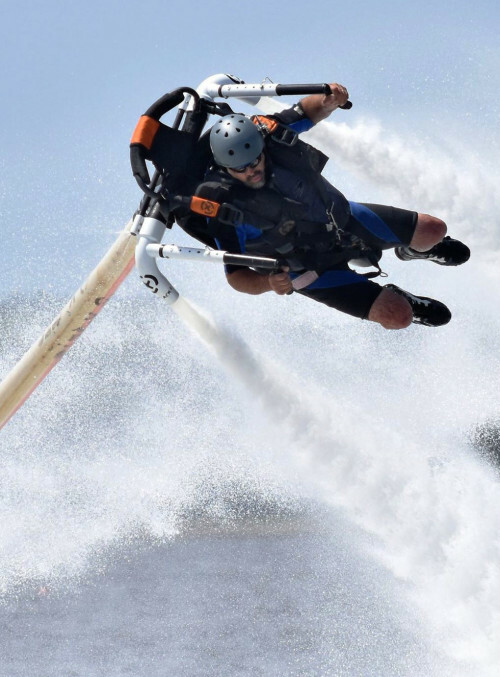 Spearheaded by inventor Jeff Elkins, maker of the Shark remote throttle, the team uses LED suits and rigs to illuminate its jet board and jetpack flyers in a dazzling light and water display. Described as everything from human fireworks to superheroes, Jetpack Invasion’s world-class performers flip, turn and dance to create a lava-like effect in any body of water.